All our activities are available at no cost and are free to print and share. 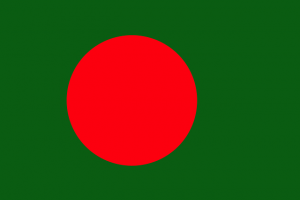 Today we will be covering the country Bangladesh! Dung Guli is a typical game played by rural children in Bangladesh. It’s sort of like a combination of golf and softball. Two people play the game. The winner is the person who reaches 50 points first. 1.Make a one-inch shallow dent in the ground and place the guli in it. 2.Player One uses the dung to flick the guli out of the dent (as if playing golf). 3.Player One puts down the dung over the dent in the ground. 4.Player Two picks up the guli. Standing at the point where the guli landed on the ground, Player Two throws the guli at the dung, attempting to hit it. 5.If Player Two hits it, he or she now flicks the guli out of the dent as in steps 2 and 3, and Player One takes a turn throwing the guli at the dung. This continues until one player misses hitting the dung with the guli. The player who misses first becomes the Batter, and the other person is the Pitcher. 1.Batter stands next to the dent in the ground and holds the dung like a softball bat. 2.Pitcher slow pitches the guli to Batter, who attempts to hit the guli with the dung. 3.If Batter successfully hits the guli, Batter uses the dung to measure how far the guli flew after it was hit. The Batter scores points according to however many dung lengths the guli flew. For example, if the guli was hit a distance equal to five dung lengths, Batter scores five points. 4.Whether or not Batter scored, Batter now becomes Pitcher (and vice versa). 5.Repeat steps 1-3, adding to the players’ scores as they hit the guli. The first to reach 50 points wins. Two or more old rubber tires, depending on how many people play. These can be bicycle, motorcycle, or car tires, depending on your skill level. 1.For each player, cut the bottom off of a plastic bottle. 2.Then cut the body of the bottle in half, leaving the bottle’s neck whole. 3.Insert a stick through the neck of the bottle. 4.When each stick and tire is ready, players line up at the starting line. They lay their bottles gently against their tires. 5.At the shout of “Go,” players push the tires with their hands to get them moving. They use the sticks to push and guide the tires, keeping them in a straight line while hurrying to the finish line.